Courtney *included one of Ocean's eight atau nine!!*. Courtney the best character ever!. Wallpaper and background images in the TOTAL DRAMA ISLAND'S Courtney! club tagged: courtney tdi tda total drama island total drama island. 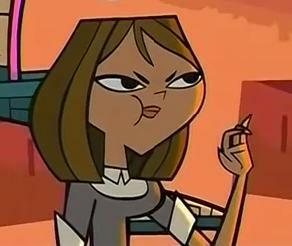 This TOTAL DRAMA ISLAND'S Courtney! photo contains anime, komik, manga, kartun, and buku komik.